Uncanny X-Men Annual #1 (Published by Marvel Comics; Review by Draven Katayama; ‘Rama Rating: 10 out of 10): We finally get answers to the questions posed by Uncanny X-Men #17 in the most beautiful way possible. Andrea Sorrentino’s interior Marvel debut uses the same x-ray inset-box style he used in Green Arrow, and fills panels with swirling, cosmic dreamscapes. 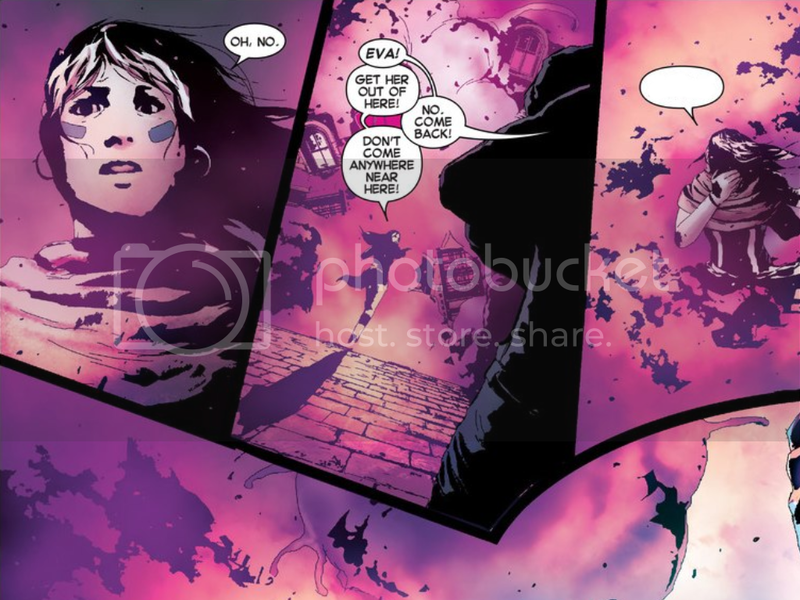 Brian Michael Bendis’ one-shot is firmly a sci-fi tale out of H.G. Wells’ playbook. The issue’s two halves are quite diametric: a lonely solo adventure at a hesitant pace transitions into an urgent, heartbreaking mentorship story. We find Eva and another character given maturity and entire arcs-worth of development in very little time. Sorrentino captures fear and horrific trauma with precision. In an age of overhyped crossover events, Bendis uses a simple, personal story to completely change the X-Men canon. This is a memorable read. How, exactly did uncanny x-men annual #1 change the x-men canon? Your review inspired me to re-read (happily so) this issue. Though I still found no historical redirections. Hi Craig, thanks for reading! I meant we learn that a certain brainy character committed actions in this future’s past that we didn’t know about before. It definitely was a fun issue!